Is this the railway that goes up Snowdon? No. Whilst both the Ffestiniog and Welsh Highland Railways travel through the Snowdonia National Park they do not go to the top of Snowdon, although the Welsh Highland stations at Rhyd Ddu and Snowdon Ranger are located at the foot of two of the most popular paths to the summit. Parking is available in Porthmadog Harbour Station (LL49 9NF) where we have a £2.00 all day car park. If it is full we have a Car Park Host who will direct you to our overflow Car Park which is also £2.00 all day. In Caernarfon there is a small car park next to Gwynedd Tyres, while the large Slate Quay carpark is just a few minutes walk away close to the castle. We have small free car parks at Minffordd, Tan y Bwlch, Tanygrisau and Dinas - for post codes see this page. There are no parking facilities at our other stations but nearby public parking is available. 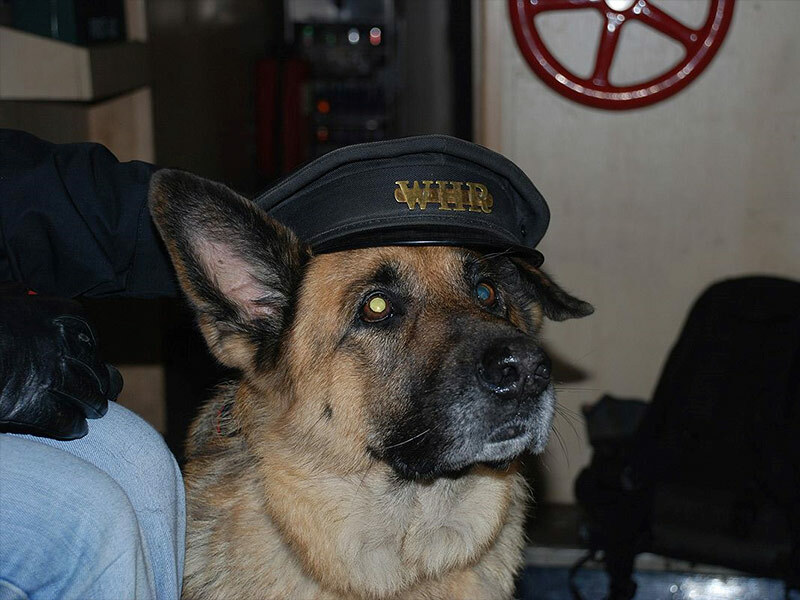 Dogs are welcome in the 3rd Class portions of our trains. A standard fare of £3.00 per dog applies. We regret that dogs (except assistance dogs) are not allowed in 1st class. 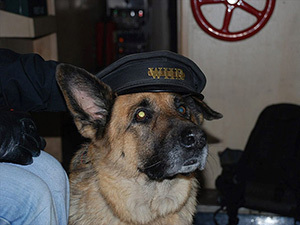 Guide/Assistance dogs travel free of charge and are welcome in all our station buildings and carriages. Please Note - Dogs are not allowed on carriage seats. Yes you can but it is not compulsory. Third Class tickets can be booked on line - simply click here. You need to decide which railway you are travelling on then select date and time of train. Your tickets will be ready for your arrival - please bring your reference number from the booking confirmation. Please note this does not book you into a specific seat so you will need to arrive in plenty of time to choose your carriage. First class tickets with guaranteed seats can be booked in advance by phoning our booking office on 01766 516024. This is a bespoke service that not only allows you to reserve your seats but also to enquire about added extras that may be available for special occasions. There is a toilet on each of our regular service trains. These can be accessed by most of the train by walking through the carriages. Due to this being a narrow gauge railway, our toilets are 'narrow gauge' too. Our station toilets, however, are full sized and far more salubrious, so please make use of the facilities before you travel. There are accessible toilets and baby changing facilities at all our main stations. Can I do a return journey between Caernarfon and Blaenau Ffestiniog in one day? This is generally not available but may be possible during our High Summer service, starting your trip at Blaenau Ffestiniog. 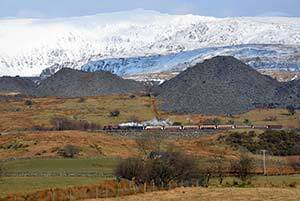 The best way to have a full day out is to use a Snowdonia single and make a circle using the Conwy Valley Line between Blaenau Ffestiniog and Llandudno or Llandudno Junction , plus a service bus between Caernarfon and your chosen station. There are a variety of tickets available to enable you to do this day out on the rails. Yes. Any of our standard single and return tickets allow you to break your journey at intermediate stations if there are later services in the timetable to allow you to complete your journey. Yes. Single fares are available on both lines between any stations. Please contact our Booking Offices for details of fares. Seats can be reserved in advance in 1st class for journeys starting in Caernarfon or Porthmadog only. There are no seat reservations available in 3rd class although wheelchair spaces can be reserved on journeys starting in Caernarfon or Porthmadog. 1st class and wheelchair reservations can be made in person at Porthmadog Booking Office or by telephoning 01766 516024 no later than 1pm on the day before travel. What about my mobility scooter? We regret that due to space constraints we are unable to accommodate mobility scooters on any of our trains. You have 3rd and 1st class carriages on your trains. What happened to 2nd class? When first introduced in the 19th century most UK trains had three classes of accommodation. In the late Victorian period sales of 2nd class tickets were significantly reduced, partly by the government putting a fixed rate on 3rd class fares even though much of the 3rd class accommodation had been improved to encourage passengers. Railway companies then began to remove 2nd class carriages from their trains. The Ffestiniog Railway has some 2nd class accommodation, limited to a few compartments on heritage carriages. Records show that the 2nd class accommodation was being downgraded to 3rd class by 1887. However in recent restorations a number of our original carriages have been returned to their 'as new' arrangement meaning you may be able to travel in a second class compartment today. As we don't have any 2nd class fares any more, both 1st and 3rd class tickets are valid in these compartments. Can you recommend somewhere for us to stay? As there is such a wide range of accommodation available in the area surrounding our railways we do not directly recommend accommodation providers. We suggest you visit the North Wales Tourism website or telephone their accommodation hotline on 08705 168767. Why are there two Welsh Highland Railways in Porthmadog? Apart from the 25 mile railway between Porthmadog and Caernarfon, which uses the route of the original Welsh Highland Railway which closed in 1936, there is another similarly-named railway at the far end of the High Street from Harbour Station. The Welsh Highland Heritage Railway offers short train rides and operates an excellent museum. The two companies are in no way related. "The best British train journey ever!" - This railway is fantastic. I cannot imagine a much better train journey in the UK. We each sat in a large comfortable armchair with a great view. My kids loved it as did I"